More and more companies are using Slack as a core communication tool, to help simplify their workflows and do more things in one central place. Birdly is a startup in our current Winter 2016 class that helps companies do that even more, by allowing them to access customer data stored in other enterprise apps such as Salesforce and Zendesk inside their corporate Slack channels. 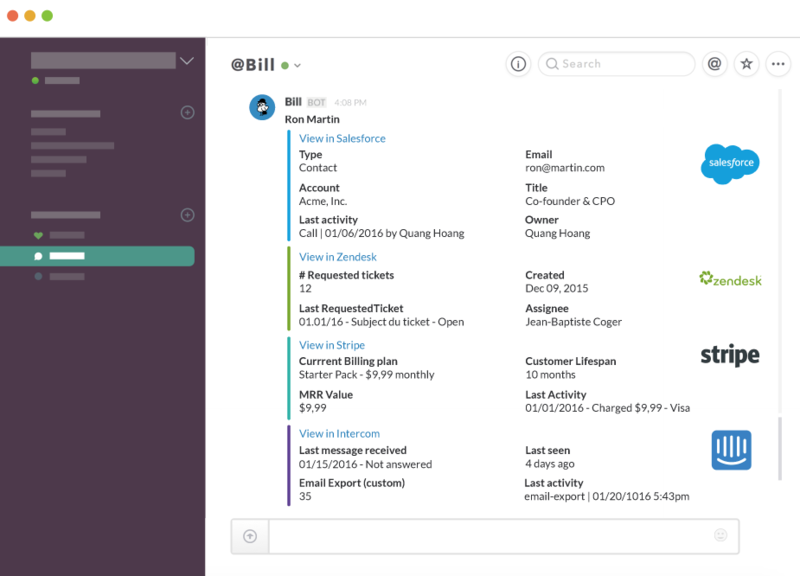 app like Expensify is now Birdly, a Slack bot that makes it easier to call up customer data directly within Slack from sources like Salesforce and Zendesk.